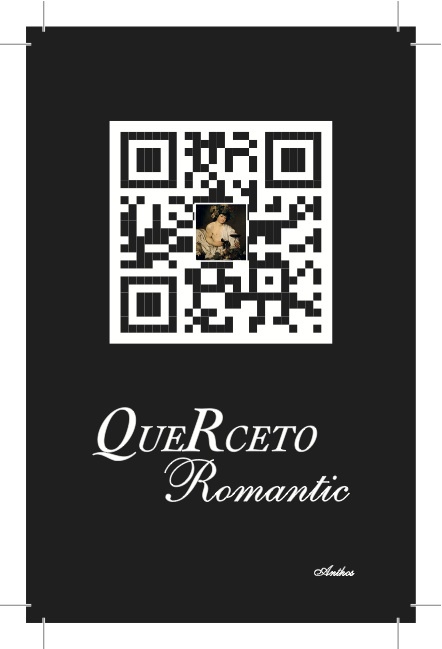 Importer: PRESTIGE WINE IMPORTS CORP. Brilliant ruby red color. The bouquet is delicate and appealing. Dry and balanced, with a soft and elegant body. 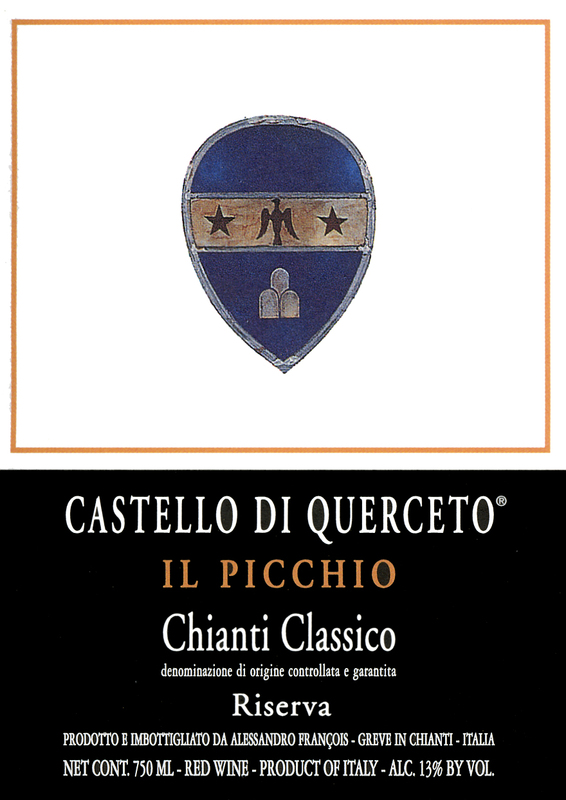 From a single vineyard planted in 1983, Il Picchio (“woodpecker” in Italian), this Chianti Classico Riserva is around 92% Sangiovese and spends 12 months in barriques. It has a deep ruby/crimson color, and a nose that’s immediately perfumed and seductive, with graphite and smoky tobacco, but very glossy red fruits as well. On the palate this is lean and savory, with lithe, sinewy tannins and acidity. It is focused and composed, with a dried cherry fruit quality. Intense ruby red with garnet reflections. Full and well expressed bouquet. Dry, austere palate with elegant tannins. Serve with red meat roasts. This wine, a meeting of three grapes, wants to celebrate a special mythological event. This wine is made from Petit Verdot 50%, Merlot 30%, and Syrah 20%grapes. The vineyards location is a meeting of grapes from 3 different vineyards named: “Il Borro”, “L’Asinello” and “La Frascuccia” situated between 400 and 500 meters above sea level. A recipe originating from the Lena region used to be very famous in Chianti. It is called “beginning” (implying “of love affairs”): in a jug full of old Chianti wine from Luconela (about half a litter), infuse a cinnamon stick for 24 hours and then add a spoon of honey. Let the wine rest for a few hours before drinking it. The result is guaranteed. 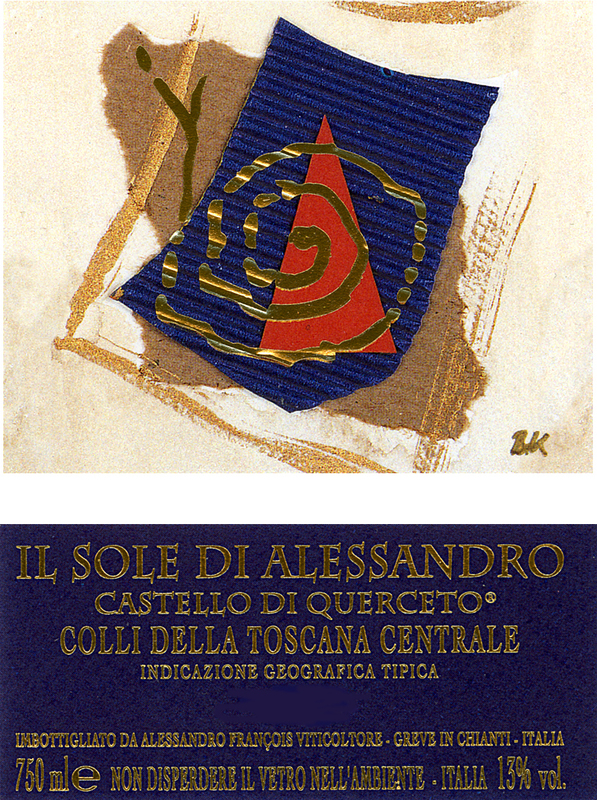 Il Sole di Alessandro is made from 100% Cabernet Sauvignon grapes andit has an alcoholic content of 13.5%. 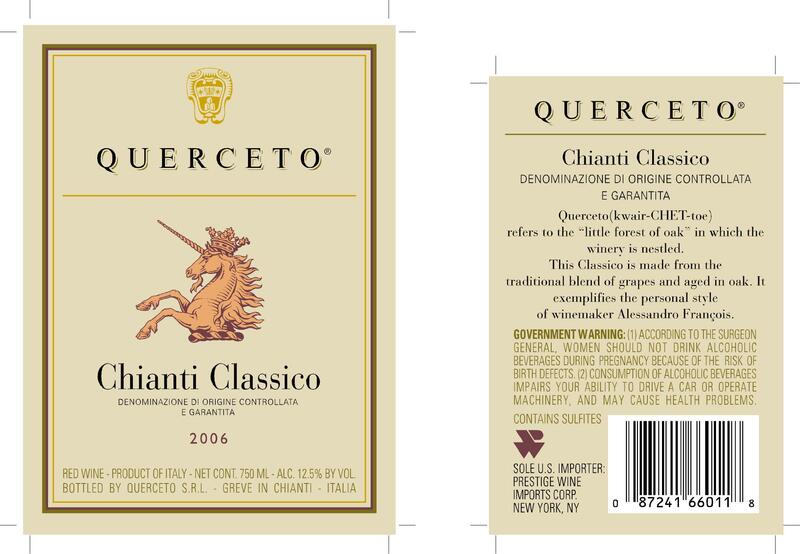 Its bouquet is elegant, with powerful forest berry fruit, in particular black currant fruit. On the palate it is full, rich, and very smooth, with powerful red berry fruit supported by warmth, moderate acidity that provides direction, andsmooth sweet tannins that flow into a clean, bright finish. It is quite elegant, slightly soft and seductive. From vineyards in Greve in Chianti, this is harvested with a yield ofonly 50 hectoliters per hectare, and spends around 20 – 24 months in French oak barriques. It has a deep but bright crimson color, and an immediately concentrated and dense nose with notes of cedar wood and svelte black fruit. 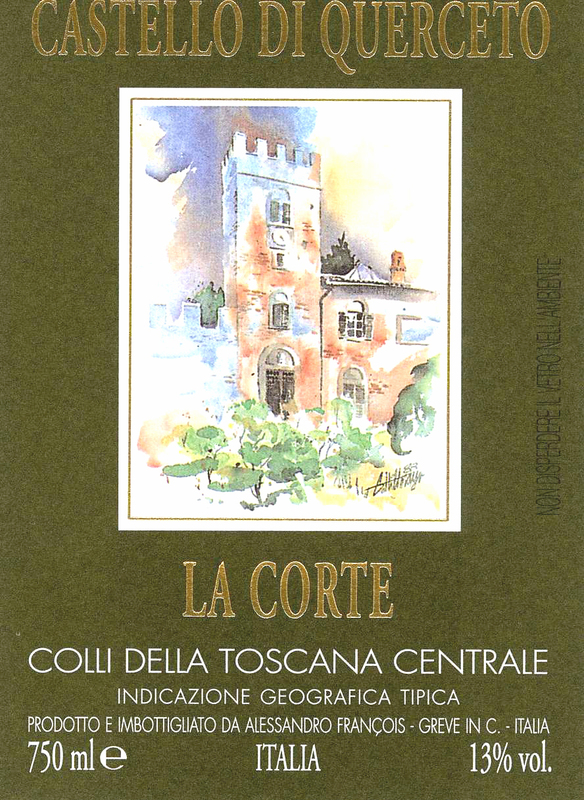 La Corte IGT is an intense and balanced wine, soft, elegant, dry with forthright character. From the Colli della Toscana Centrale, this 100% Sangiovese wine is aged 12 months in barrique and comes from a vineyard planted in 1973. 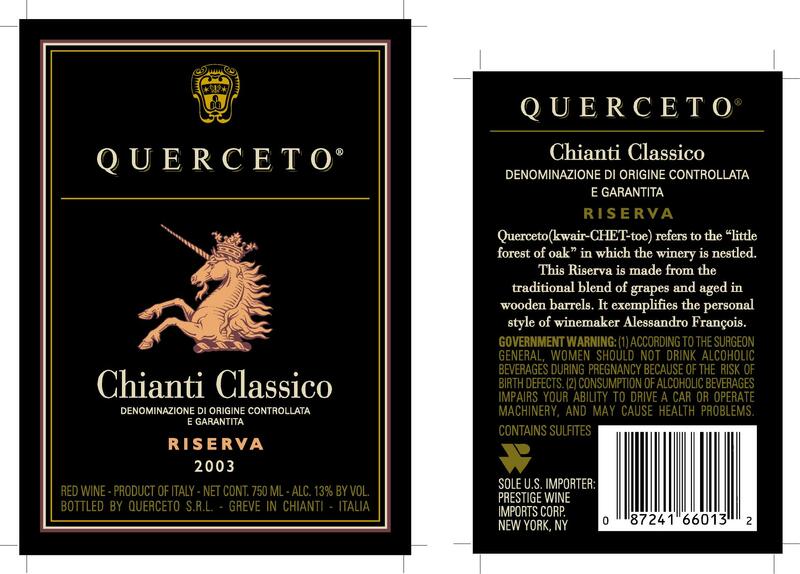 It has a very dark, almost opaque ruby color, and a tight, floral-tinged nose of dark cherry fruit with real intensity. There are touches of cedar and lead pencil. This strikes the palate with authority, the sweet-edged red and black fruit flavors edged with spice and leather, and a grippy spine of sinewy tannin adding lots of tension and dry, uncompromising muscle. The balance is good, with fine acidity coming in to play, but this is another savory style of concentrated wine that should be paired with food.